Brett DeArmond Bissett is an associate in the Insurance Recovery Practice Group with experience in insurance coverage litigation, counseling on insurance-related issues, directors' and officers' liability, and general commercial litigation. Brett has represented insureds in third-party insurance disputes regarding property and environmental damage as well as coverage for government investigations including qui tam actions. 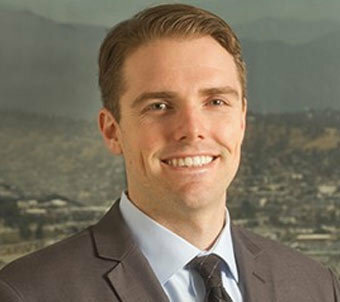 Brett has further experience in creditors’ rights in bankruptcy including preference litigation and creditors’ rights in municipal bankruptcies. Additionally, Brett has been involved with pro bono work. He has represented minors seeking to obtain guardianship and Special Immigrant Juvenile Status, helped secure asylum for refugees, and represented multiple tenants in unlawful detainer actions.